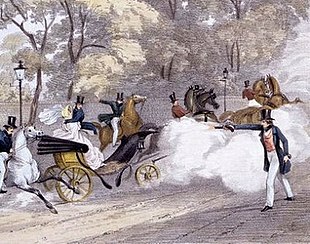 During Victoria's first pregnancy in 1840, in the first few months of the marriage, 18-year-old Edward Oxford attempted to assassinate her while she was riding in a carriage with Prince Albert on her way to visit her mother. Oxford fired twice, but either both bullets missed or, as he later claimed, the guns had no shot. He was tried for high treason, found not guilty on the grounds of insanity, committed to an insane asylum indefinitely, and later sent to live in Australia. 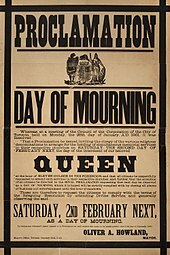 In the immediate aftermath of the attack, Victoria's popularity soared, mitigating residual discontent over the Hastings affair and the bedchamber crisis. 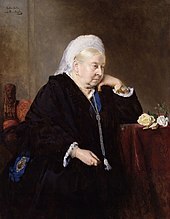 Her daughter, also named Victoria, was born on 21 November 1840. The Queen hated being pregnant,  viewed breast-feeding with disgust,  and thought newborn babies were ugly. Nevertheless, over the following seventeen years, she and Albert had a further eight children: Albert Edward (b. 1841), Alice (b. 1843), Alfred (b. 1844), Helena (b. 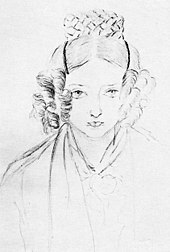 1846), Louise (b. 1848), Arthur (b. 1850), Leopold (b. 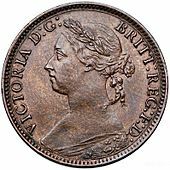 1853) and Beatrice (b. 1857). Russell's ministry, though Whig, was not favoured by the Queen. She found particularly offensive the Foreign Secretary, Lord Palmerston, who often acted without consulting the Cabinet, the Prime Minister, or the Queen. 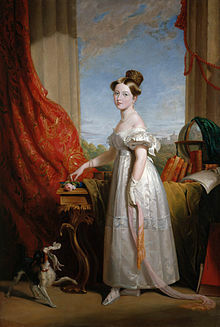 Victoria complained to Russell that Palmerston sent official dispatches to foreign leaders without her knowledge, but Palmerston was retained in office and continued to act on his own initiative, despite her repeated remonstrances. 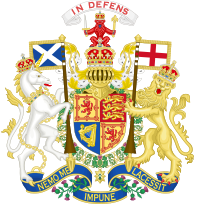 It was only in 1851 that Palmerston was removed after he announced the British government's approval of President Louis-Napoleon Bonaparte's coup in France without consulting the Prime Minister. The following year, President Bonaparte was declared Emperor Napoleon III, by which time Russell's administration had been replaced by a short-lived minority government led by Lord Derby. Eleven days after Orsini's assassination attempt in France, Victoria's eldest daughter married Prince Frederick William of Prussia in London. 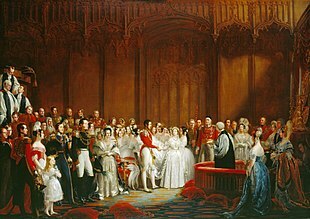 They had been betrothed since September 1855, when Princess Victoria was 14 years old; the marriage was delayed by the Queen and Prince Albert until the bride was 17. 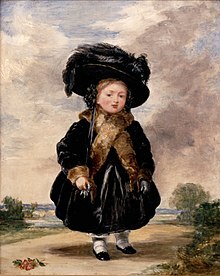 The Queen and Albert hoped that their daughter and son-in-law would be a liberalising influence in the enlarging Prussian state. 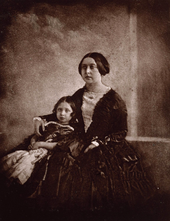 Victoria felt "sick at heart" to see her daughter leave England for Germany; "It really makes me shudder", she wrote to Princess Victoria in one of her frequent letters, "when I look round to all your sweet, happy, unconscious sisters, and think I must give them up too – one by one." Almost exactly a year later, Princess Victoria gave birth to the Queen's first grandchild, Wilhelm, who would become the last German Emperor. Victoria was pleased when Gladstone resigned in 1885 after his budget was defeated. 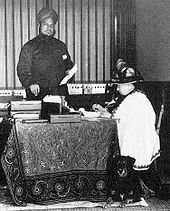 She thought his government was "the worst I have ever had", and blamed him for the death of General Gordon at Khartoum. Gladstone was replaced by Lord Salisbury. Salisbury's government only lasted a few months, however, and Victoria was forced to recall Gladstone, whom she referred to as a "half crazy & really in many ways ridiculous old man". Gladstone attempted to pass a bill granting Ireland home rule, but to Victoria's glee it was defeated. In the ensuing election, Gladstone's party lost to Salisbury's and the government switched hands again. 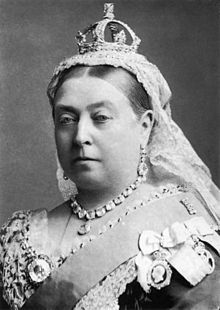 With a reign of 63 years, seven months and two days, Victoria was the longest-reigning British monarch and the longest-reigning queen regnant in world history until her great-great-granddaughter Elizabeth II surpassed her on 9 September 2015. 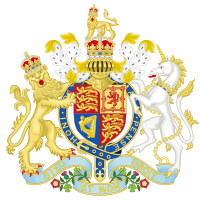 She was the last monarch of Britain from the House of Hanover. 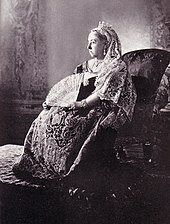 Her son and successor Edward VII belonged to her husband's House of Saxe-Coburg and Gotha. 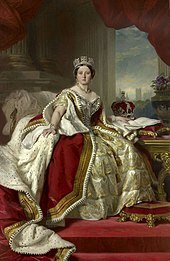 Victoria's links with Europe's royal families earned her the nickname "the grandmother of Europe". 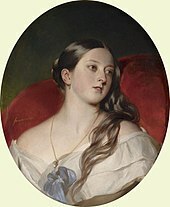 Victoria and Albert had 42 grandchildren, of whom 34 survived to adulthood. Their living descendants include Elizabeth II; Prince Philip, Duke of Edinburgh; Harald V of Norway; Carl XVI Gustaf of Sweden; Margrethe II of Denmark; and Felipe VI of Spain. Around the world, places and memorials are dedicated to her, especially in the Commonwealth nations. Places named after her include Africa's largest lake, Victoria Falls, the capitals of British Columbia ( Victoria) and Saskatchewan ( Regina), and two Australian states ( Victoria and Queensland). The Victoria Cross was introduced in 1856 to reward acts of valour during the Crimean War,  and it remains the highest British, Canadian, Australian, and New Zealand award for bravery. 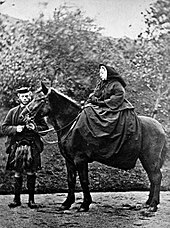 Victoria Day is a Canadian statutory holiday and a local public holiday in parts of Scotland celebrated on the last Monday before or on 24 May (Queen Victoria's birthday).